Richard is a huge fan of pancakes. Whenever we eat breakfast out, he orders a single pancake with his meal. Knowing any more than that will hurt his tender gut. 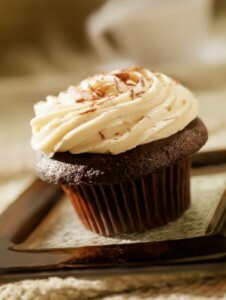 So, for over a year I have been trying many different recipes to make him the cakes he is craving. Most of the recipes are from soaked flour…not resulting in the fluffy, white flour cake he’s looking for. 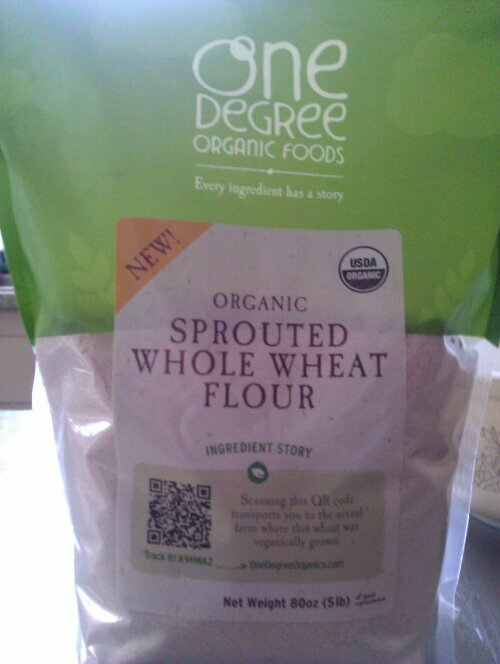 Then I came across this flour at Whole Foods. Sprouted flour! I’ve used it in many recipes and its super easy on the gut. Its the closest to white flour, in recipes, than anything else I’ve tried. And it doesn’t require preplanning, like working with soaked flours. Mix dry ingredients and mix in wet ingredients until mostly smooth. There will still be small lumps. Heat cast iron skillet on medium heat. Melt about 1 tablespoon butter on pan. Pour about 1/3 cup of batter on pan. Once the edges start the brown, about 2 minutes, flip pancake and cook an additional minute. Transfer to slightly warm oven while you cook the rest. Serve with warmed maple syrup and melted butter or fresh organic fruit. I found a great raw food restaurant in DC while visiting a friend this summer. One dish I loved was the wild rice dish. The rice had been soaked and spouted for days, he added lots of fresh veggies and herbs and dressed it lightly with olive oil and sea salt. It was delicious and I felt energetic and alive when I walked out of there. There are a few reasons I loved it and decided to make my own version. After reading Cure Tooth Decay, I have been staying away from all grains and legumes…they are full of antinutrients and require a lot of work to make digestable. According to Cure Tooth Decay and the followers of the Weston A Price Foundation, rice must be soaked for 24 hours and then sprouted for 2 to 3 days to remove as phytic acid and other antinutrients that are present in the germ and bran in nuts, grains, legumes and seeds. So, I soaked my wild rice in filtered water for a total of 24 hours, then drained and rinsed it. Next, sprouting…way easier then I expected. Let the rice soak in filtered water in a warm place for 3 days. Rinsing 2-3 times per day. You will see the impurities coming to the surface of the water. I always use filtered water. 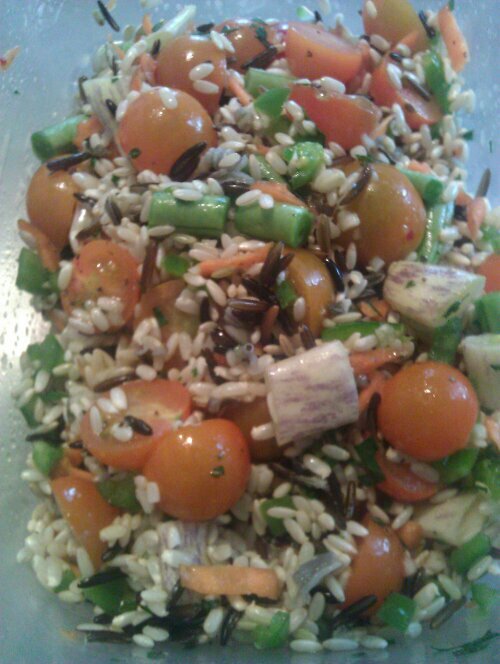 Here’s my recipe for Sprouted Wild Rice with seasonal fruit, veggies and herbs. Mix all ingredients together and let chill for at least 30 minutes. Will last a few days in the fridge. Don’t toast, roast or cook…Dehydrate. I love my new dehydrator!!! Fruit, veggies, crackers, yogurt, nuts, seeds, and so much more waiting to be created in the Excalibur Food Dehydrator. I made kale chips the other day and they are bright green, crunchy and garlicky. Most kale chips you buy have been toasted or baked to make them dry and brittle and also lacking in color. I dehydrated them at a low temp…115 to be exact…to keep the enzymes intact and to prevent the loss of nutrients during “cooking”. Every alive food has enzymes to help in digestion. Every food also has a temperature at which the enzymes will deactivate. It will most always be between 118 and 148 degrees F.
Foods have been naturally preserved using a dehydrating method for thousands of years. The Weston A Price Foundation recommends soaking then dehydrating most nuts, grains, seeds and legumes.